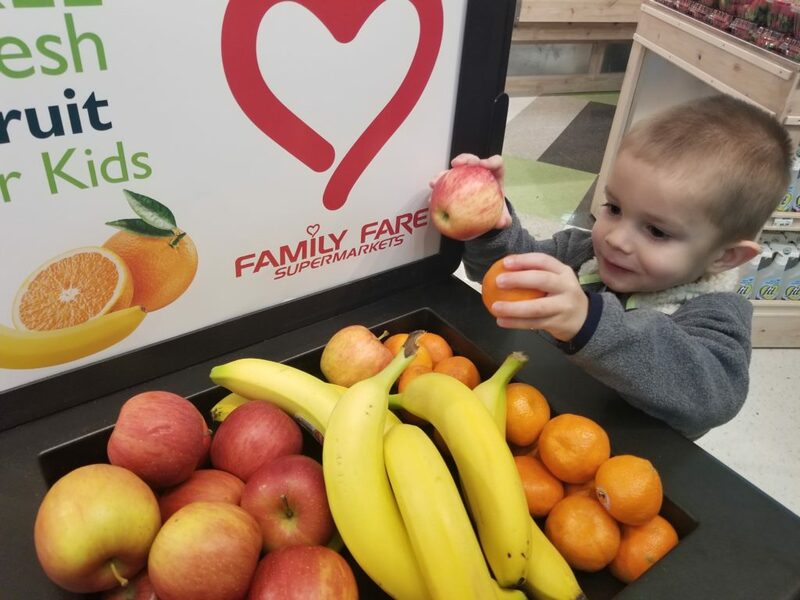 GRAND RAPIDS, Mich. – To encourage healthy eating choices for children in its retail stores and reinforce its commitment to providing the best customer experience possible, SpartanNash recently launched its “Free Fresh Fruit for Kids” program. Using designated bins located near the front of produce sections in SpartanNash retail stores, the Free Fresh Fruit for Kids program encourages children to grab a banana or clementine to snack on while their parents shop the store. The Free Fresh Fruit for Kids program is part of SpartanNash’s “Living Well” initiatives, which also include an ever-growing assortment of organic offerings, free and reduced-cost prescriptions at their pharmacies, kids programming and Regional Wellness Specialists who serve company-owned retail stores and communities in Wisconsin, Minnesota, Michigan and the greater Omaha, Neb. area. Wellness Specialists work with community partners to raise awareness about programs such as Free Fresh Fruit for Kids and provide resources about nutrition and optimal food choices through in-store wellness activities like grocery store tours, cooking classes and healthy food sampling. In 2017, SpartanNash and its Regional Wellness Specialists were recognized for their efforts to encourage healthier eating habits with the Gold Plate Award from the Food Marketing Institute and the Retail Role Model Award from the Produce for Better Health Foundation. For more information, visit spartannash.com/awards. SpartanNash (Nasdaq: SPTN) is a Fortune 350 company whose core businesses include distributing grocery products to independent grocery retailers, national accounts, its corporate-owned retail stores and U.S. military commissaries and exchanges. SpartanNash serves customer locations in 47 states and the District of Columbia, Europe, Cuba, Puerto Rico, Italy, Bahrain, Djibouti and Egypt. SpartanNash currently operates 143 supermarkets, primarily under the banners of Family Fare Supermarkets, D&W Fresh Market, VG’s Grocery, Dan’s Supermarket and Family Fresh Market. Through its MDV military division, SpartanNash is a leading distributor of grocery products to U.S. military commissaries.